You are at:Home»Features»Commentary»Explainer: what is cancer radiotherapy and why do we need proton beam therapy? In last night’s federal budget, the government dedicated up to A$68 million to help set up Australia’s first proton beam therapy facility in South Australia. The government says this will help Australian researchers develop the next generation of cancer treatments, including for complex children’s cancers. 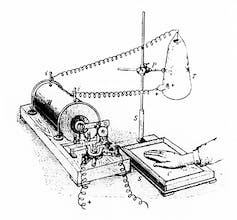 A drawing of the X-ray machine used by Wilhelm Röntgen to produce images of the hand. 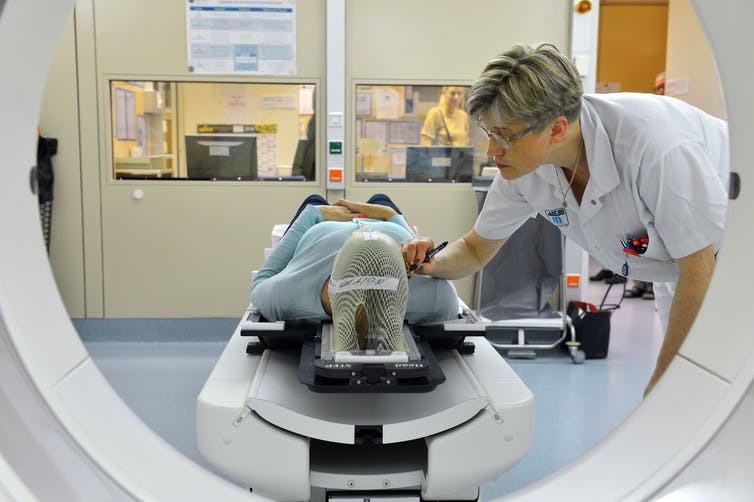 A single radiotherapy treatment takes 15 to 30 minutes. 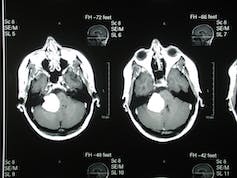 Radiotherapy is often used to treat brain tumours.